We organise fun-filled holiday programmes for children, encouraging them to try a wide range of sports and activities. They run during the February half-term, Easter holidays, Summer holidays and October half-term, taking place all around Charnwood. Book from 1st April 2019. 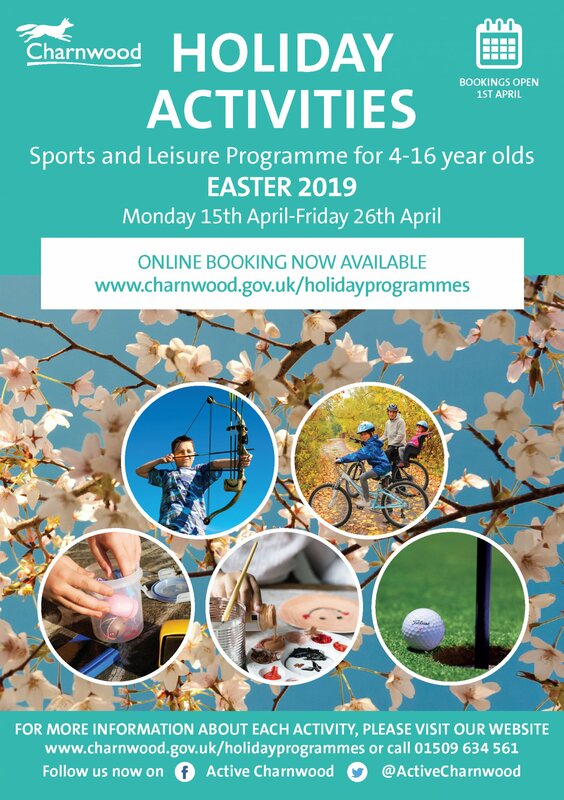 To book on to any of our holiday activity programmes, you can book online www.charnwood.gov.uk/holidayprogrammes or call our Contact Centre advisors on 01509 634 561 (8.30am - 5pm weekdays). Card payment is required at the time of booking. Book from Monday 1st April 2019. It is a possibility that there will be some photography and videoing done throughout this term's activity programme. Parents will be asked for their consent during the bookings process. No photos or videos will be taken unless consent is given by a parent or guardian. If you have attended one of our holiday activity programmes we would love to hear from you. Complete the attached feedback form and send it to the email below to let us know what you think. Charnwood's Leisure Centres host and run activities for children aged 5-16 throughout the whole year. At Loughborough and Soar Valley Leisure Centre, we offer activities for children aged 5-12 throughout the holidays (including half terms and Christmas) at an affordable cost. Please visit http://www.loughboroughleisurecentre.com/ for the latest programmes at Loughborough or https://www.fusion-lifestyle.com/centres/Soar_Valley_Leisure_Centre for Soar Valley Holiday Activity Programmes.